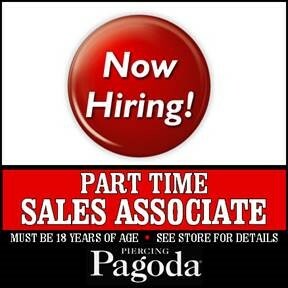 Piercing Pagoda is now hiring for a part time sales associate. Must be 18 years old to apply. Clean criminal background. See store for details.